Looking back at last year's The 42nd Post it seems so log ago. A lot has happened this year. My new job has changed a bit under new leadership and I'll admit to it being a little rocky for a bit. We seem to have come through though and a late change has brought my immediate team back together under a new boss, and I'm a lot more comfortable with it all. Well, I actually have finally finished Strange Times Book 2, and just need to pull the cash together for printing. 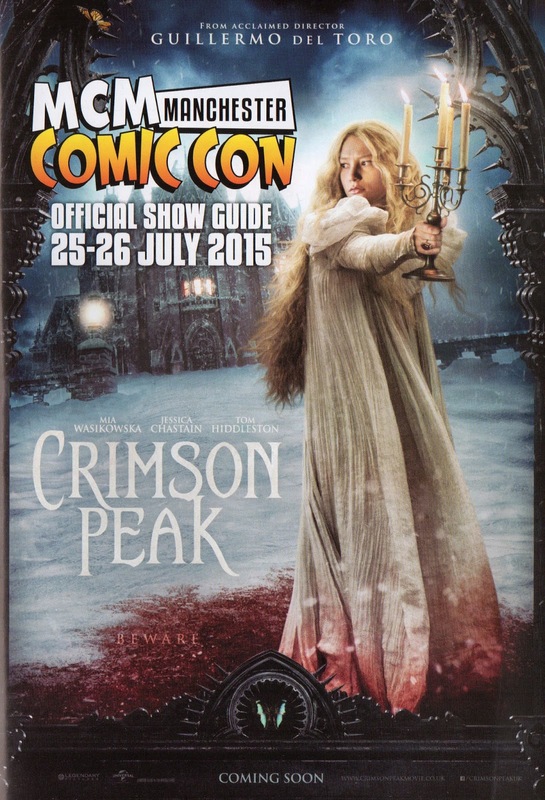 This book has been a long time coming and I'm really happy to finally be able to look to get it on the Convention Table in 2016. Kane Mesmer is complete, but I've decided to print it as part of a Collection of my Blessed/Cursed books. Combining it with Fastest Man, Invisible Man, a Fastest Man prequel and three new stories. It make sense to do this as it'll be much simpler at Conventions having the one book to focus on. 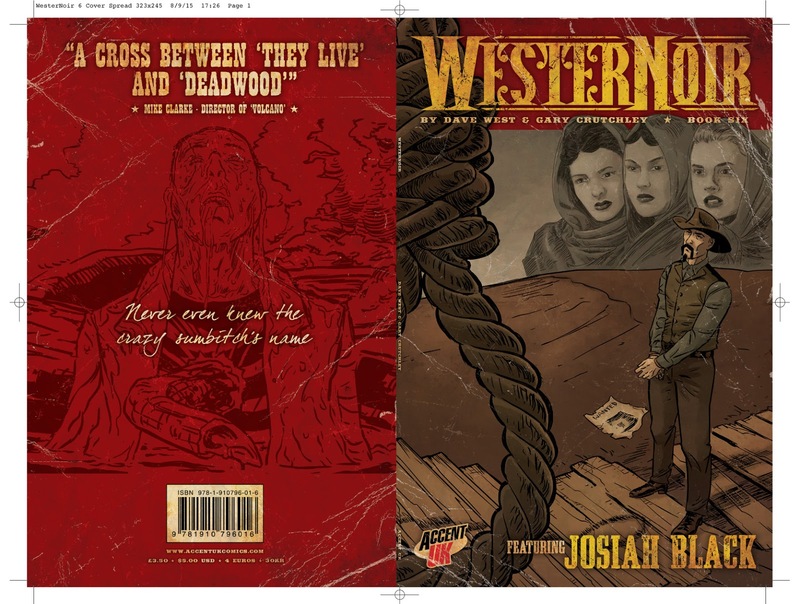 WesterNoir and Stephenson's Robot are getting into a good print schedule which is great. I didn't do too well on From Super-Zeroes To Super-Heroes, but I've been in touch with artist Seba Velez and this is my personal focus for next year. Andy and I have had to accept that Wolfmen 3 isn't going to happen. 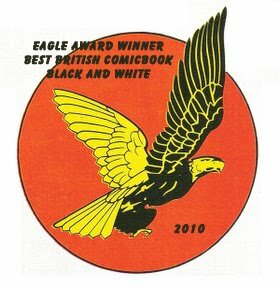 Andy is fully committed to his great Midnight Man comic, which he co-creates with Mo Ali, and any time he has to do comic stuff will need to be spent in this. Completely understandable but a shame none-the-less. OK, the book is still a work in progress, but I have managed to add to it, so it's not been forgotten. I will finish From Super-Zeroes To Super-Heroes. I will complete the Blessed/Cursed Anthology, ready for printing in 2017. 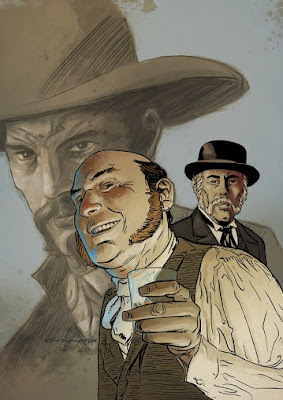 I will publish at least two WesterNoir books. 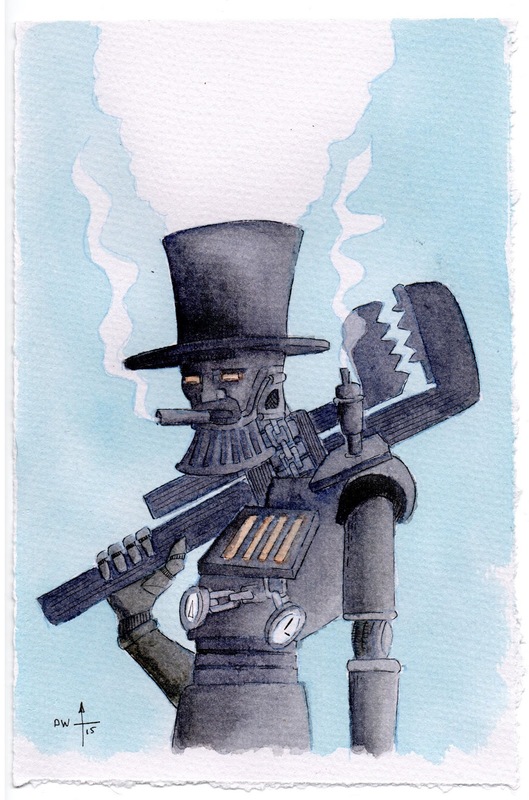 I will publish at least one Stephenson's Robot comic. I will try to finish that book I've been playing with for quite a few years now... again. All in all they seems pretty achievable, I'll see how I get on. We attended more conventions this year than any previously and our books are certainly finding an audience, which is great. At each and every Con we've found a lot of new customers and also had a lot of people returning to our table to pick up our new books. The highlight I guess has to be the Copenhagen Con, it's always great to go back and catch up with a lot of our Danish friends. This year we printed Martin Flink's new book, The Troll, and also got to hang out with our friend Garen Ewing. For me the film I most enjoyed was probably Ant-Man which was a surprisingly great little (sorry) film. I kinda expected second The Avengers film to be good, and it was, but it wasn't as good as the first (it was a tough act to follow) and the second Captain America film was better I think. Jurassic Park was a bit too similar to the earlier ones for me and didn't do much to move things on. I think the dinosaurs need to get onto the mainland somewhere to make this interesting again for me. I've not found as much time to read this year, but did pick up Derek Landy's new book, Demon Road. 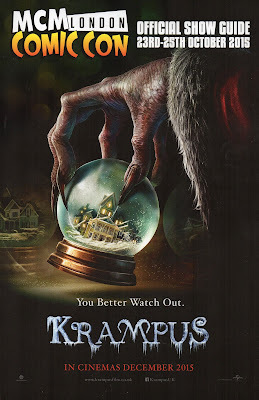 Not as good as Skulduggery Pleasant but an enjoyable romp, I'll be following future books to see how it all progresses. Following a recommendation from a work colleague I'm now reading The First Law trilogy by Joe Abercrombie and am enjoying it. Comic-wise I did manage to meet Matt Kindt again at Thought Bubble and now have all the Mind Management books printed to date. I also got him to do a sketch in my copy of Pistolwhip. My other Thought Bubble purchase was Farel Dalrymple's The Wrenchies. I've been a fan of his work for ages and it was great to chat to him whilst he sketched in the book. All in all a great year creating stuff and selling them around the UK and Europe. 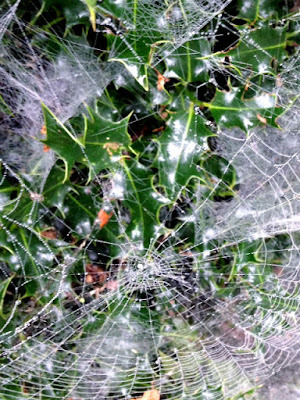 My annual iPhone photo clear out. I'm forever running out of space on my iPhone, I know I should have bought one with more storage, but hindsight is a wonderful thing. Anyway, you can't keep all the photos on there forever and letting iCloud store them somewhere means I'll probably never look at them again, so I think from now on I'll pop them up on the blog at the end of the year, and then delete them from my iPhone. 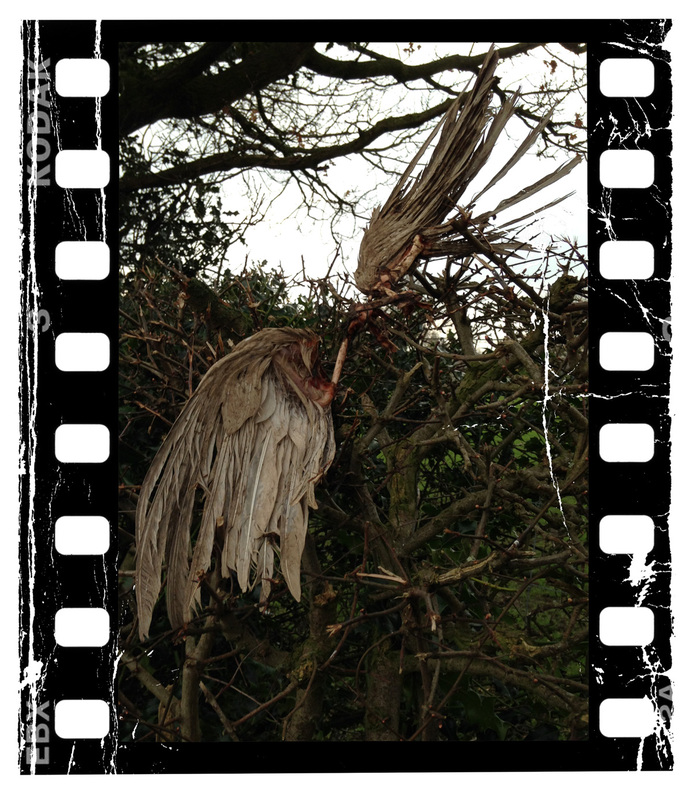 and love looking up at its twisting branches. and of course, play with them a little in photoshop, putting a frame around them and the like. These two are of a table at the art class I took earlier in the year. I want to learn how to paint with acrylics, and whilst the teacher made me use water colour I did learn a lot and certainly got the bug. Sadly events conspired against me though and I never made it to a second term. The next three are things I just came across when out and about. That's the really great thing about having a camera on your phone. You see something, you can just take a photo. and this toy lizard seemed real when caught out of the corner of my eye, basking as it was in the sunlight. for her Provisional Driving Licence. 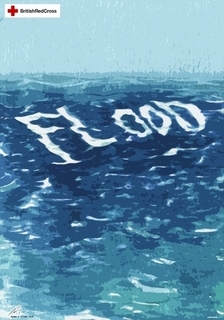 Back in 2008 when severe floods were quite new to us in the UK, I contributed to an anthology looking to raise awareness and money to help out. 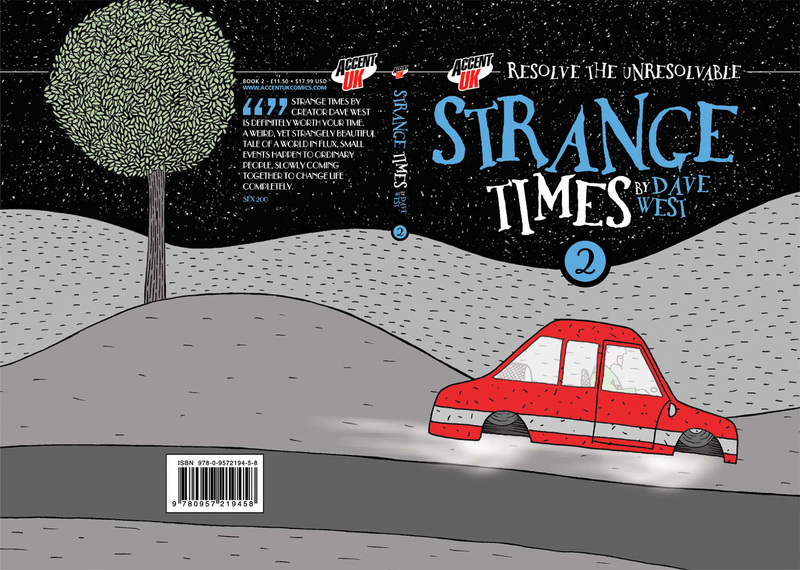 Strange Times Book 2 is ready for the printers. Well, after a lot longer than I'd hoped, due mostly to me getting carried away with having too many projects on the go at the same time, Strange Times Book 2 is finished. Andy Bloor has once again worked his design magic and also done a lot of tidying, despite me best efforts I always seem to leave dots here and there or pages with different sizes ... sigh. I'm not sure when it'll actually see print, I'll need to get the necessary cash together, but it will be sometime in 2016. It'll be great to have another of my little books on the Con table. 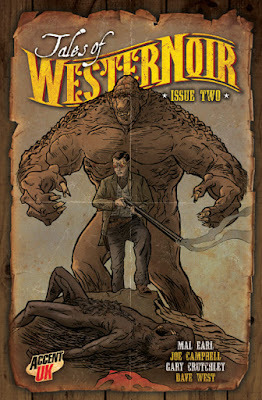 Tales Of WesterNoir #2 is at the printers. 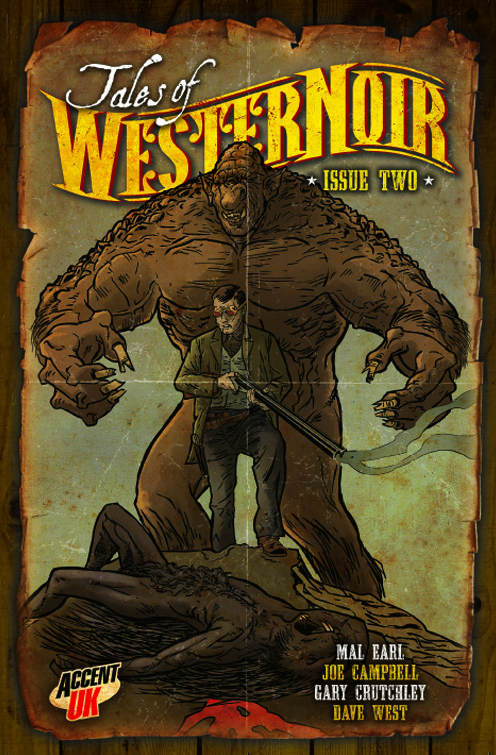 Tales of WesterNoir Issue 2 will be available at the first Convention of 2016. I've just received the proof copy from our Printer, Stuart Gould, and it looks great. 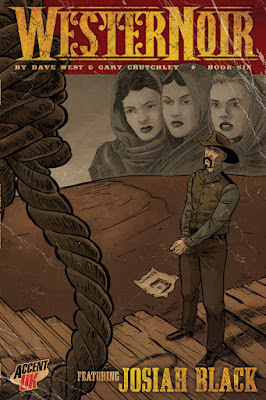 Cover art is from WesterNoir co-creator Gary Crutchley and is coloured as always by Matt Soffe. 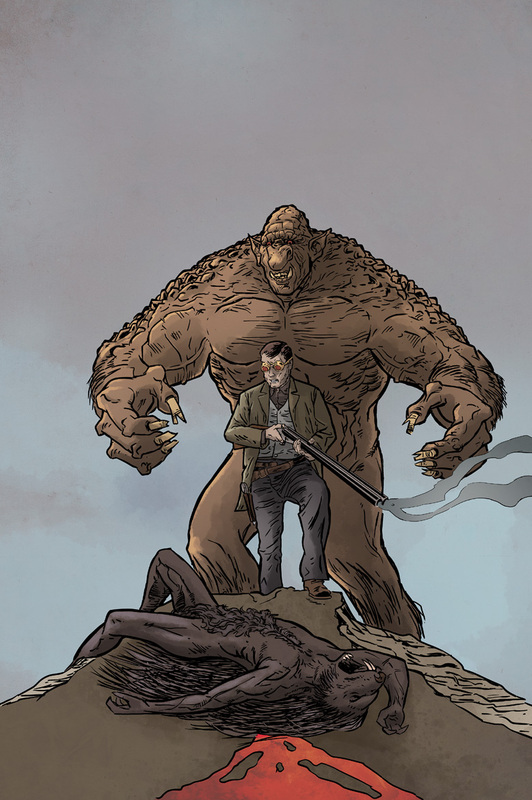 This issue has two tales of Jim Wilson in the role of Monster Hunter with artwork from Mal Earl and Joe Campbell. Two very different styles both work very well with stories from myself and Gary respectively. All wrapped up with the design eye and talent of Andy Bloor. Should be a great start to the year. Events of 2015 .... what a busy year. 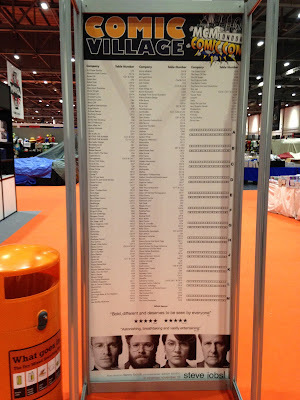 We've had a really busy year from a Convention perspective this year, and have enjoyed all of them. Some will disappear but most will continue and most of those that do will see us return. There are some new ones that we have heard about and are looking to add, but before I update the list with 2016s dates, I thought I'd cut and paste the 2015 calendar here. I've just had it confirmed by Stuart Gould, our trusted printer, that WesterNoir #6 will be printed in time for the London MCM event in October. The tale is really picking up pace now as Josiah Black faces... well... now that'd be telling. As the sketch packs, which include issues 1 to 4 and Tales of WesterNoir #1 (what we call 'Season 1'), are selling really well, Gary has had to fit in drawing another batch for the London MCM event. I've been busy painting them whilst Gary gets on with art on Issue 7. There are a limited number of these, so if you're interested then I'd recommend popping over to the Accent UK table sooner rather than later. And whilst you're looking at a picture of one of the 'Gator-boys' as we call 'em, check out a recent review over on Reading-with-a-flight-ring. When Giant Monsters Attack Beautiful People Die Podcast. Colin and I were invited to sit in on an episode of the 'When Giant Monsters Attack Beautiful People Die' Podcast on Thursday. We had a really enjoyable time, and had probably chatted for more than an hour before Dan and Dave actually started the session formally with their standard introduction. The perfect little getaway from the house. We were treated to biscuits, donuts and coffee, and I must say that I was very impressed with Bucky, the resident dog, as he never once tried to steal anything from me or even give me that ''You're not going to eat that whole biscuit yourself are you ?'' look. Yep, a very enjoyable evening. Having listened to the podcast now, I'm amazed at how often I say 'Yeah' ... blimey ... I'll try to teach myself to just say it in my head in future. 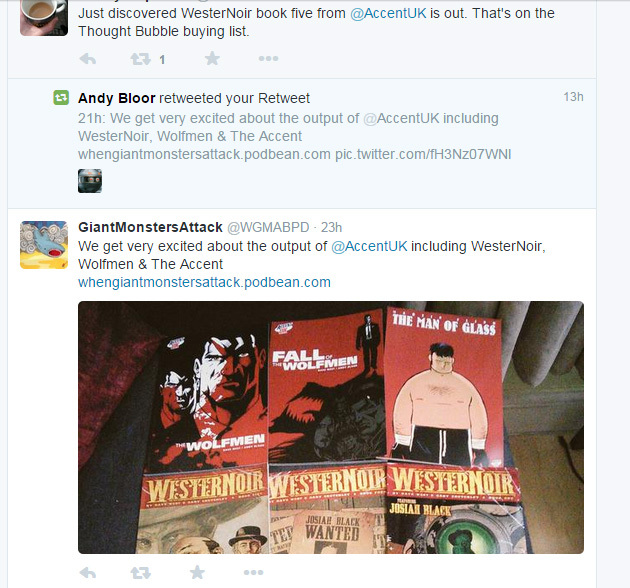 Here's the podcast link... WhenGiantMonstersAttack.podbean.com. I'm a big fan of the Planet Of The Apes movies. I still remember my Dad taking me to see the first one at the cinema and that scene with the sunken Statue Of Liberty at the end. 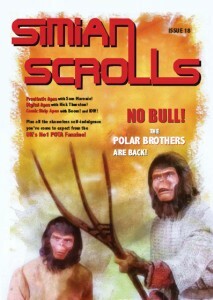 So ... over the years I've provided little 'Janet Of The Apes' cartoons to a Planet Of The Apes fanzine called Simian Scrolls and you can now get these in PDF format from Pota.goatley.com/scrolls.html. 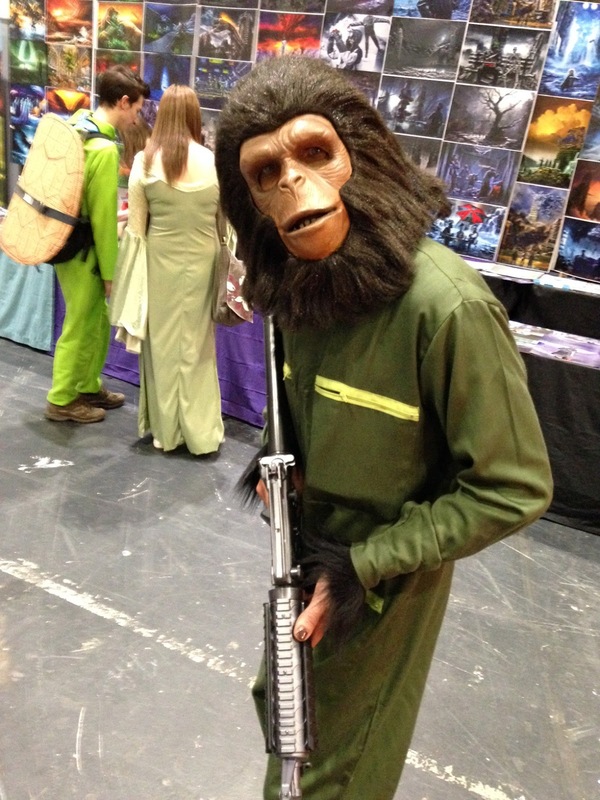 A lot of love and attention goes into the issues of this Fanzine, if you like Planet Of The Apes, old, new or both then you'll really appreciate this magazine. I remember the two guys buying some books at last weekend's Manchester MCM, and I remember them saying that they did a local Podcast ... it's always really interesting to hear what people think of our books and I used to love listening to the Tales From the Parent's Basement, Burnt Weiners and Small Press Big Mouth podcasts a few years ago, but one after another these all ended. Turns out I had to download a new App onto myPhone, PodBean, but as usual this was pretty painless,and then a quick search and I was subscribed. I decided to dive straight in and listen to Episode 39 - Love Interest as I was keen to hear what the guys thought of our efforts. Wow, they really enjoyed them and are very respectful in that they call out all the creators involved in the books, which is really nice. I listened to the whole episode in the end and it was good to hear their very positive comments about Mike Garley's very interesting The Killscreen and to find throughout the podcast that they had pretty balanced views and were quite willing to say they didn't like something if that was the case. We've been invited into their Shed (which I think is their secret lair) for an interview, which we'll be sorting out in the very near future.